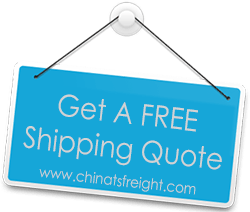 Freight carriers are basically services that handle your shipment from the point of collection and all the way to its destination. Depending on what you want to ship and where, there are many options you can consider, but there are of course a few things you’ll need to keep in mind prior to taking a final decision. It’s very important that you have a list of the items you would like to ship, since this is the first step that’s going to help you find the right carriers for the job. Of course, the type and size, but also weight of your items are going to directly impact the final price, so that is why it’s a good idea to do your research properly and see which carriers are best suited for the job, yet still manage to charge a reasonable price for their services. One of the first things you’ll need to check prior to hiring a carrier is their experience. It goes without saying that the more years a freight shipping company has been in business for, the more experienced it is with shipping different types of goods to various parts of the world using different means of transport. Therefore, even if you want to ship a large TV or maybe a car, you can rest assured that they’re going to get the job done properly and on time. Is the carrier you plan on hiring right for you? A carrier’s references, insurance and also authority are factors that indicate a professional and also reliable business. On the other hand, you should know that there are other things you’ll need to be aware of prior to hiring a specific carrier. First of all, you need to review its number of transfers, but also approximate transit time. Multiple transfers and a long transit time can mean that your shipment may not be something that the carrier knows how to handle properly. The rule of thumb here is to go with a carrier that you know can ship your goods from point A to B in the shortest amount of time possible and with as few transfers as possible. Don’t forget to check the company’s delivery rate: it needs to be above ninety percent. With these simple tips in mind, hiring the right shipping company to have your goods shipped to your desired destination is going to be a lot easier.